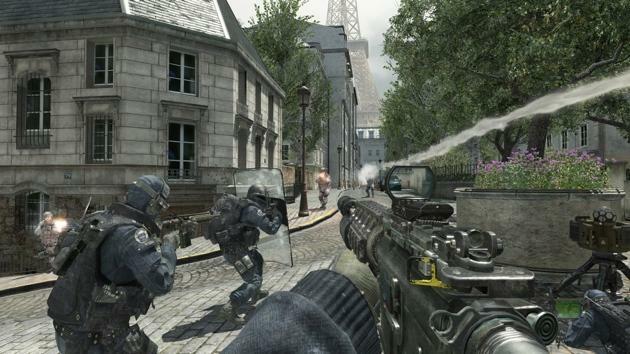 One of the most hotly anticpated games of 2011 is, undeniably, Call of Duty: Modern Warfare 3. The next entry in this yearly Activision franchise has obviously been the topic of discussion for nearly two years; which basically amounts to the moment players beat Modern Warfare 2. As such, a level of consideration has gone into the game’s delivery, nuts & bolts and its competition. With DICE‘s graphical beast, Battlefield 3, looming large on the horizon, a lot of gamers have called Modern Warfare 3‘s engine into question. Most suggest that the property looks like all of the entries before it and, in fact, the engine itself feels exceptionally dated. “…I’ve worked on a lot of engines over my lifetime and spent a lot of time putting graphics in to them and this thing is Porsche. And what I mean by that is that it is stream-lined, everything in it is perfectly freaking clean. You can tell it’s been worked on for years. It’s easy to upgrade. …Modern Warfare 3’s levels now are so much bigger than the old ones because they go more vertically, they have a bigger footprint and on top of that, higher fidelity, more textures and a lot more detail. Where do you stand with this discussion? Do you think the game looks even better than its predecessors, or do you feel like the cut-and-paste criticisms are fair? Call of Duty: Modern Warfare 3 will launch on November 8th for the Xbox 360, PlayStation 3 and PC platforms. We’re willing to bet that it will see incredible sales when it drops, regardless of the criticism being lobbed its way.